Taking an old and worn out piece of furniture and transforming it into a new and pretty piece makes my heart flutter! 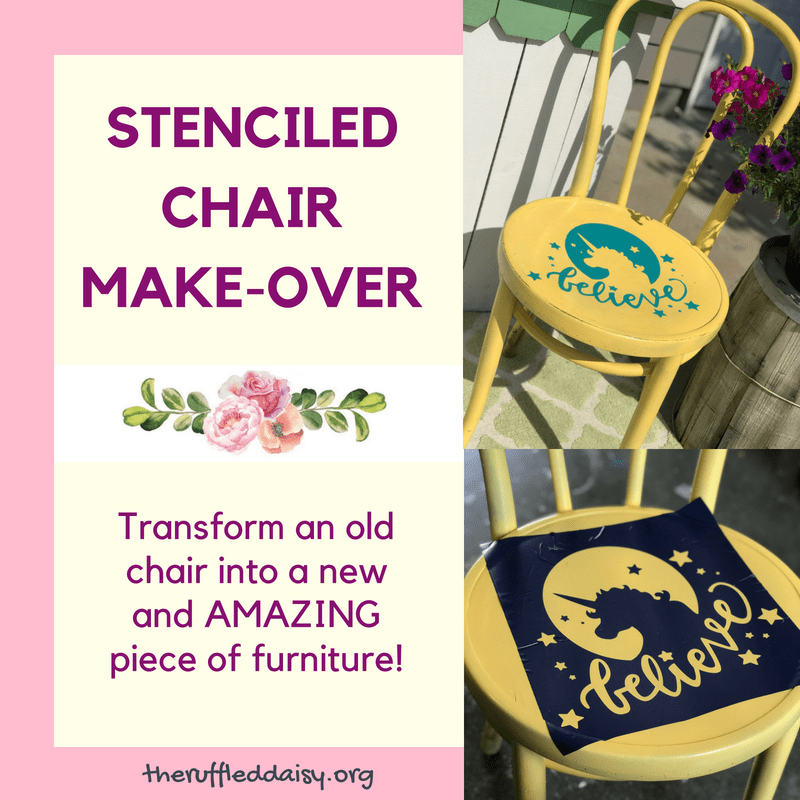 This Stenciled Chair Makeover does just that! The fact that this piece has a unicorn AND glitter makes my whimsical heart happy!! 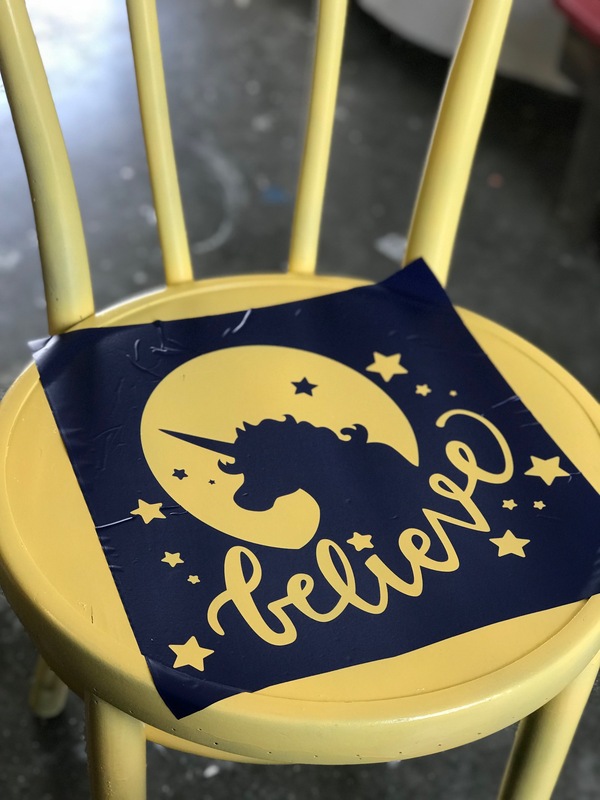 If you have an old chair, a stencil, and some paint then it’s time to get to creating one of your own! Wouldn’t this look amazing in a little girl’s room? Mine currently resides in my office! 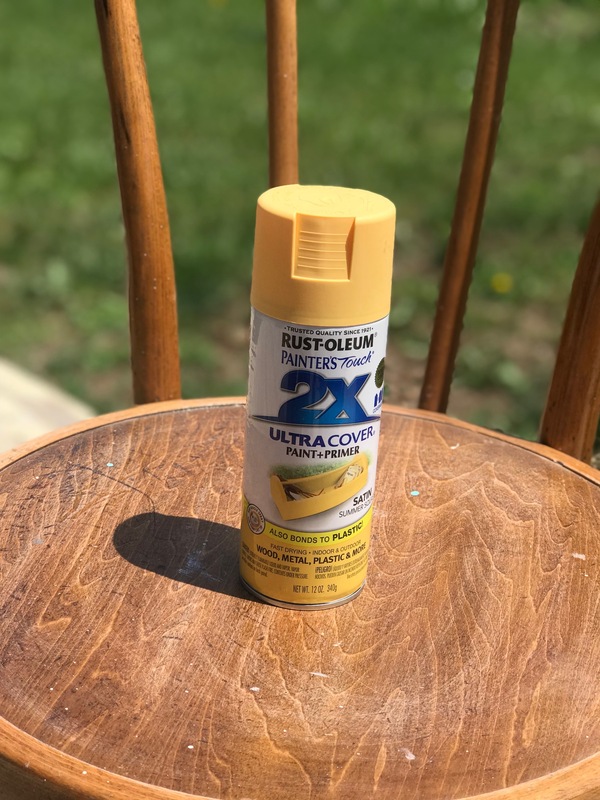 I partnered up with Rust-Oleum to bring you this quick and easy DIY that anyone can do! Once I spray painted the chair and it was dry, I used my Silhouette Cameo to cut a stencil. You can also purchase stencils at Hobby Lobby or any craft store. They have SOOOOO many designs to chose from! I am a lover of unicorns and all things whimsical so this design was PERFECT for me. Once you apply your stencil, paint on your design in a coordinating color. I chose a teal color which worked for THIS project that I created for the Rust-Oleum Festival DIY Challenge. It was such a fun project to work on! 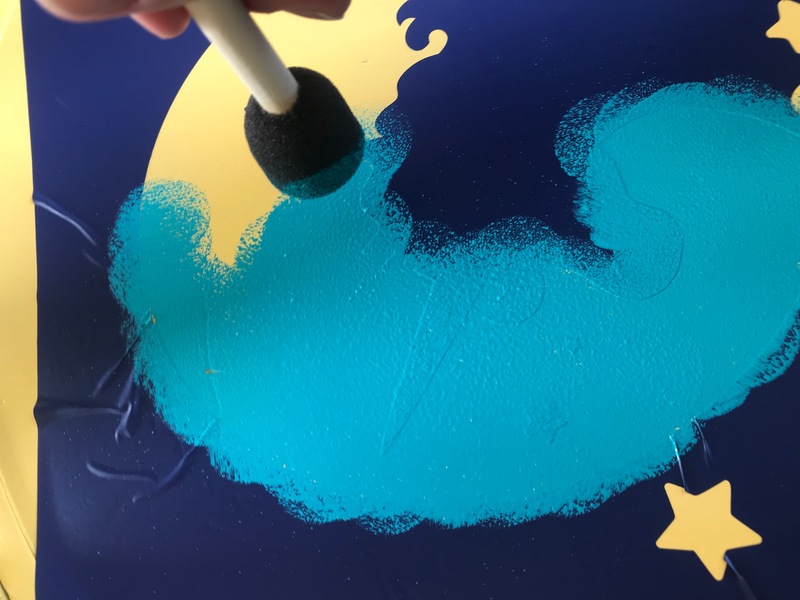 When you are stenciling, you want to dab the paint on in light coats so that the edges don’t bleed. Let dry completely before removing the stencil. Doesn’t it look amazing and so inviting?! This would be a perfect photo prop for a little girls birthday party! 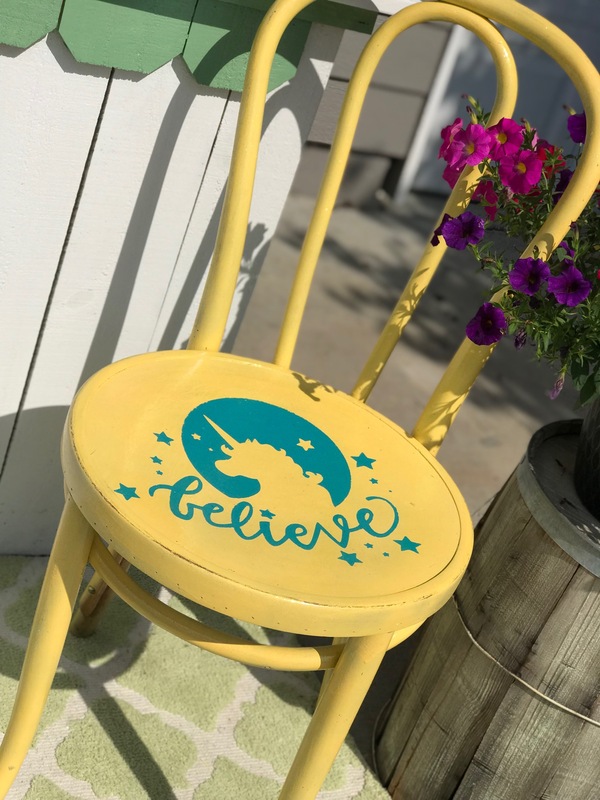 This Quick and Easy Stenciled Chair Makeover is the perfect project for any beginner! 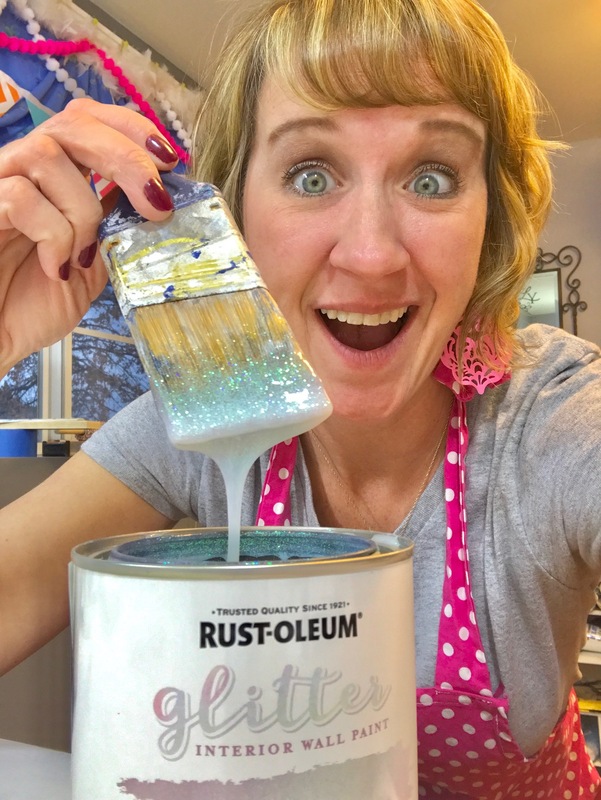 If you need a little bit of inspiration, check out Rust-Oleum’s Creators Studio. There are some great ideas there and it’s super simple to create an account so you can start browsing! Do you have a piece of furniture that you want to try this out on? 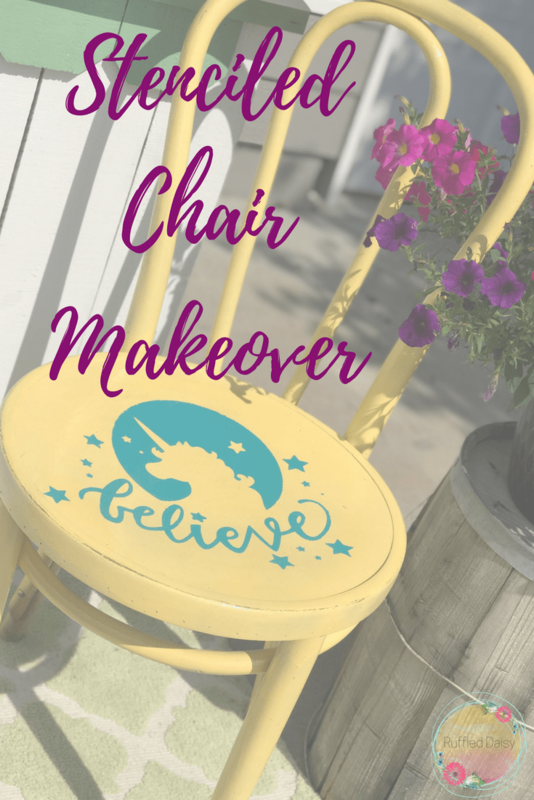 I’d love to see what your Quick and Easy Stenciled Chair Makeover! Use #theruffleddaisyks so I can see! !